You can rely on Laz Moving to help you move anywhere you need to go. Fully licensed and insured local and long distance Movers Get the help you need for your move. WE'RE DEDICATED TO MAKING YOUR MOVE AS SIMPLE AS POSSIBLE. WE'LL WRAP YOUR ITEMS IN BLANKETS FOR PROTECTION. WE ACCEPT CASH, CREDIT CARDS AND TRANSFER ACCOUNTS. We Booked with Laz Moving, excellent customer services and the guys were there all day, our house are so big and not one time did they complain. They took care of our furniture very professionally. 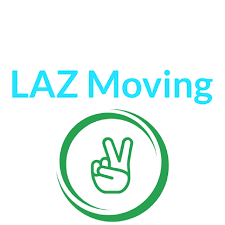 We recommend Laz moving!